An excellent meal with my elderly mother who struggled to find something she wanted to eat (not your fault - she'd forgotten she liked scampi!) Our waiter, who said it was his first day, was excellent and very helpful and looked after us well. The only slight niggle was the length of time it took after our main course to get menus and to order our desserts. Thank you for a great time - just what we hoped for. We had a lovely afternoon dining in the Britannia,  great food and service made for a very pleasant experience. I would eat here again and recommend it to friends and family. This was my first visit to the britannia  We had a great lunch experience, we felt welcomed due to very friendly staff and relaxed atmosphere. Very friendly and efficient service at lunch-time. Food and drink were great value for money as well as enjoyable. Lovely winter warmth. Excellent place to talk as well as eat - lively but not noisy. Many thanks to all concerned. We came all the way from Reading and weren’t disappointed. What a lovely pub/restaurant and so cozy! A great find and thanks for having us! We have been searching for a decent place to have Sunday lunch since moving down to the area 18 months ago. Great value for money, and very relaxed, which is appeals to us as we have 5 children! On a food front (Sunday lunch) cant fault it. Although our last visit the service and quality was not as good as our 3 previous visits. (we've been 4 times in the last 6 weeks). Hopefully a one off. The toilets were unpleasant as was the table we sat at, it was grumpy and in need of a good clean. Our waitress was unhelpful and unfriendly. However, the one positive was the food, it was decent. Table of 7. Prompt and very friendly service. We are a little awkward as we ordered not straight off menu. 2 of us had 2 starters at same time. One had a burger with specific ingredients. All was correct,tasty and nothing to much trouble. Thanks. My meal was great but not a very good choice for vegetarians. Really enjoyed the family Sunday lunch. Roast beef particularly good as was all other choices by adults and kids. Will definitely call again. The food was good. The Belgium Fries aren’t as good as they used to be. The service was slow. Our empty plates were left for ages before someone came to clear and ask he we wanted to see the dessert menu. Staff seemed to be more interested in chatting at the bar then serving customers. Good food (and beer!) at sensible prices and friendly service. We will visit again and have already recommended you. Great Exportations Ltd booked into the Britannia for our Christmas lunch. We were greeted & shown our table, which was ready & waiting for us. The service was impeccable & the food was lovely & great value for money (All left with very full bellies). We will visit again. A friendly service, excellent food, with its predictably cosy atmosphere, and it's within walking distance, what more could I ask for.! We had Sunday lunch here - all six of us had different meals. Didn’t have to wait long even though it was extremely busy. The staff did a brilliant job keeping everyone happy! Excellent service and the girls who waitessed were very helpful and friendly, especially towards my children. 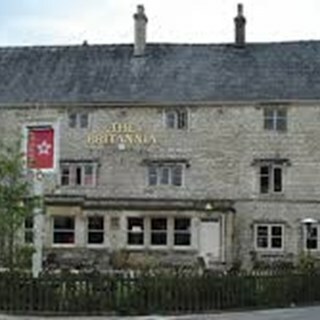 The food was excellent and I would definateley recommend The Britannia as a great place to take the family. Thank You. 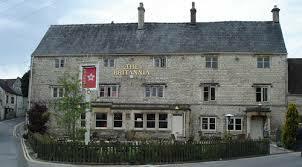 When we come to Nailsworth to visit the family we always come to The Britannia for lunch. They are extremely accommodating, have a good children's menu and we always enjoy our food. This time I chose the Ale Battered Cod. It was enormous and perfectly cooked. I definitely recommend you try The Britannia.